The lowdown: With one of the best marinas in Ensenada and host to many five-star amenities, Coral & Marina Hotel has 350 concrete slips for 30- to 65-foot boats. Daily rates range from $2.30 to $2.86 per foot daily. Long-term stays increase cost. Fuel dock, pump-out service, complimentary shuttle to the resort, dock carts and a cleaning station are just a few of the amenities on offer. The lowdown: Adjoining to a mile-long boardwalk in Ensenada’s port, Baja Naval is a small, intimate marina with 50 slips for vessels up to 100 feet. As part of the amenities, the marina provides fuel, drinking water, free long-distance calls to the U.S. and a short stroll to the downtown area. According to the website, the dockmaster will gladly help with inquiries about restaurants, shops, exchange rates and other needs. The lowdown: One of the best destinations for luxury yacht owners, IGY Marine in Cabo San Lucas features 380 slips and can accommodate vessels up to 375 feet. Twenty-four hour surveillance and electronic key card access are just a few of the amenities in this marina, situated in a main boating route tucked into a protected harbor. The lowdown: A gorgeous 2,000-acre resort and private getaway just along the famed Sea of Cortez, a full-service marina is also available. There are 200 slips available for boats up to 250 feet. A concierge service is available with a maintenance yard as well. The lowdown: Located off Downtown La Paz, Marina de La Paz caters to boats from 30 to 70 feet. There are all the traditional boater’s amenities such as a launch ramp, dock carts and a pumpout service as well as the Club Cruceros social center and activity room. 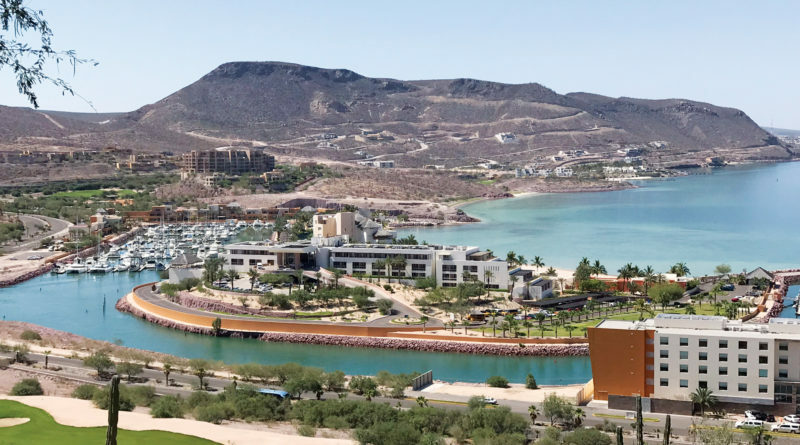 The lowdown: Located on the Sea of Cortez and the marina of the luxurious CostaBaja Resort & Spa, this marina has 250 slips for vessels ranging from 30 feet to megayachts of 220 feet. This marina is also close to many things to do, like sailing and sportsfishing, and also provides views of the scenic and pristine white sand beaches. The lowdown: Leading into the first port in Mexico, Ensenada Cruiseport Village provides 197 slips. Vessels can range from 36 to 68 feet, but there is also an area for a magayacht up to 350 feet. There is also a launch ramp, dry storage, a BBQ area and more. The lowdown: Marina Cortez has a convenient reservation system that utilizes a map of the slip spots available. Depending on the location of the dock, this marina can cater to boats as small as 60 feet and as large as 100 feet. Located in La Paz, amenities offered include customs check-in assistance, pump-out station and staff can facilitate recommendations for tours, boat services, golf and more. The lowdown: Located in Loreto, Marina Puerto Escondido can facilitate boats from 40 feet up to 120 feet. A concierge service is provided to assist with security and repairs, and this location is the perfect venue to enjoy watersports, hiking and other outdoor adventures. Fill out the extensive form online to reserve a spot. All prices are available on the website as well. Marina Puerto Escondido can now accommodate yachts up to 200ft in length! Wohoo!